Add this resource set to your TETRIX by Pitsco collection and build bigger and more complex robots and complete more challenging engineering projects. 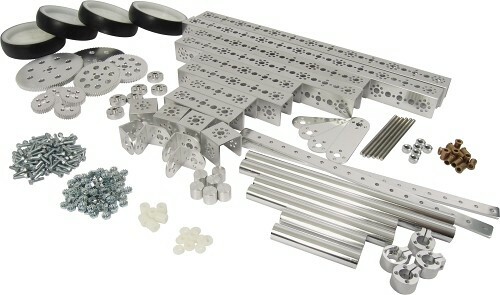 This set includes 40 metal building elements and comes complete with a convenient storage bin. Weiterführende Links zu "TETRIX™ Resource Set"
Kundenbewertungen für "TETRIX™ Resource Set"